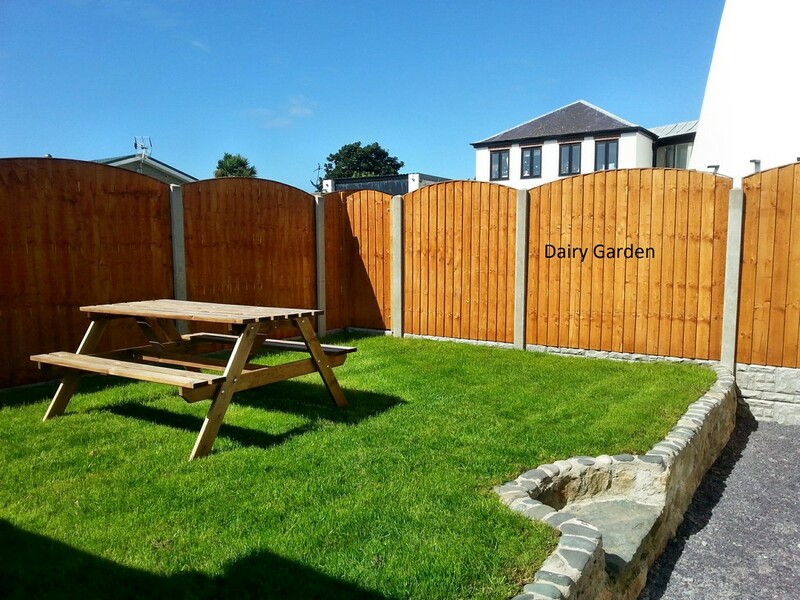 Felin Farm Cottages are two cottages, both of which have two bedrooms – The Dairy and The Cowshed. 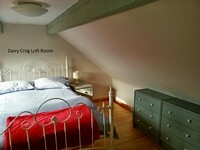 The Dairy has a ground floor kingsize bedroom and a crog loft double bedroom. Downstairs there is a bathroom with a large walk in shower, also kitchen/diner/living space. The kitchen is equipped with oven/hob, fridge/freezer, microwave, kettle, toaster, coffee maker and toaster, crockery and glasses. There is underfloor heating on the ground floor and a radiator in the crog loft bedroom. 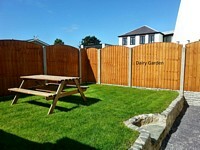 The rear garden is fully fenced and private. The property is accessed by a newly resurfaced driveway. The cottage has a TV and DVD players and now FREE WiFi. There is a selection of books, DVDs and games in the cottages. All bed linen and towels (except beach) towels are provided. A travel cot, high chair and stair gates are available by prior request.